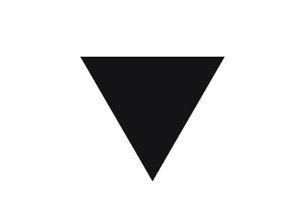 All medicines subject to additional monitoring in Europe will have to carry a black inverted triangle warning in line with new pharmacovigilance rules published by the European Medicines Agency (EMA). The addition of the symbol - which already used by the UK's Medicines and Healthcare products Regulatory Agency (MHRA) – is part of EMA plans to strengthen drug safety measures across the EU in the wake of such controversies as the continued marketing of Servier's Mediator despite safety concerns. Medicines that will need to carry the symbol by September 2013 include all drugs that contain a new active substance and all biological medicines authorised by the EMA after January 1, 2011. All treatments that require additional data after authorisation and medicines subject to restrictions will also need to carry the black triangle by this date. A full list of affected medicines will be published within the next few months. The symbol will need to appear on both the summary of product characteristics and package leaflet, and will be accompanied by a statement explaining that the medicine is under additional monitoring, as well as a further explanatory sentence. In addition, updated product information will encourage patients and healthcare professionals to report adverse reactions, with new label requirements to identify the different ways to report an adverse event, including electronic reporting and the appropriate postal address. According to the EMA, these changes will “allow easy identification of human medicines that are subject to additional monitoring and to encourage adverse-reaction reporting for all medicines”. The EMA's pharmacovigilance plans came into force in July 2012, and include the formation of the Pharmacovigilance Risk Assessment Committee (PRAC) to oversee drug safety issues in the EU. Other plans include the introduction of an automatic urgent procedure for review at EU level and greater transparency for pharma companies that withdraw a medicine from the market.